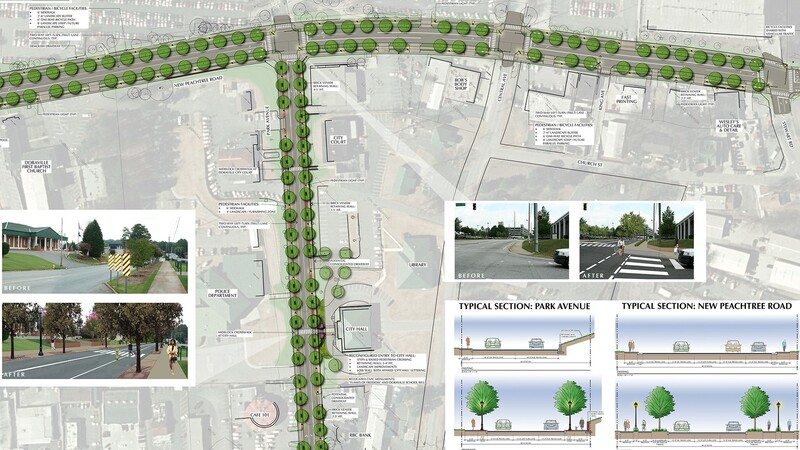 Prior to this project, New Peachtree Road was a five-lane vehicular thoroughfare running through downtown Doraville. 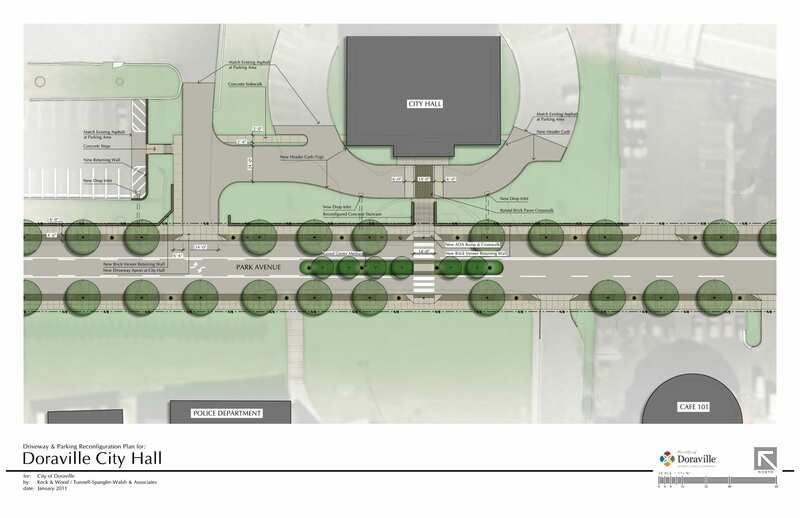 Its primary function, move vehicles as quickly as possible through the central business district with little consideration for pedestrian circulation or safety, represents a dated approach to street design. 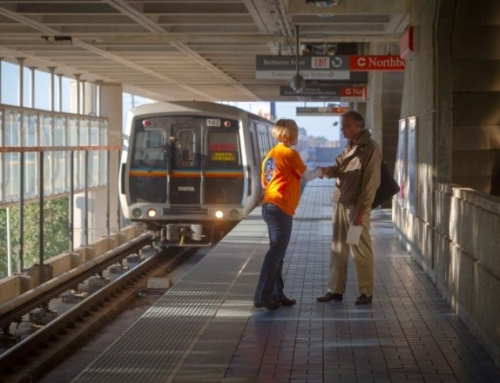 Over the past few decades, the City of Doraville witnessed the negative economic impacts associated with a high volume vehicular street through their central business district. 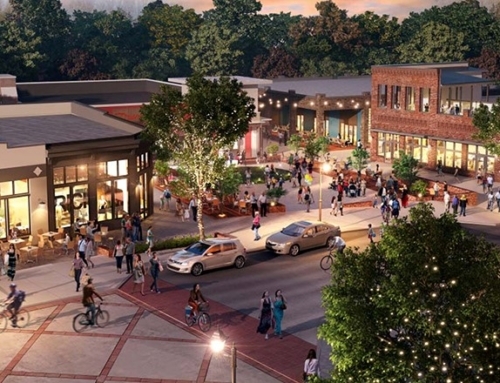 Following the example of other communities within their region and the recommendations of their 2010 Livable Center Initiative (LCI) planning study (led by TSW), the City of Doraville decided to re-purpose New Peachtree Road and capture its full potential to support a healthy central business district. 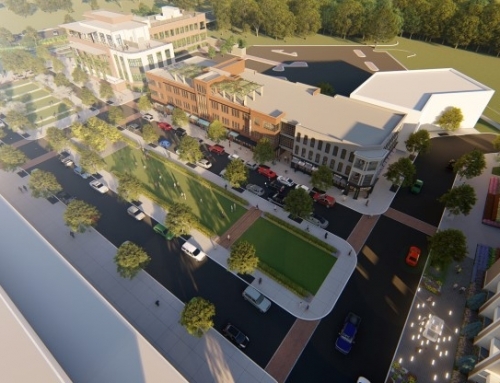 Given its location in relation to the City, its adjacency to the Doraville MARTA Station and its potential access to the 165-acre mixed-use urban redevelopment project planned on the former General Motors Assembly Plant, the street is extremely valuable to Doraville’s future. 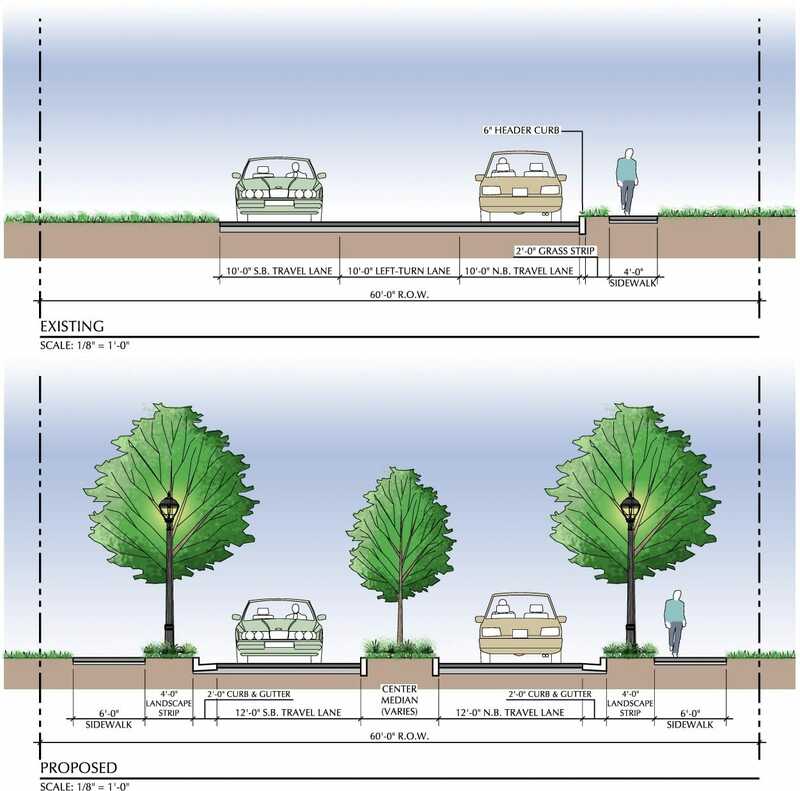 In 2010, the City hired TSW to develop and engineer a new vision for the street that will ultimately be constructed through the use of LCI transportation funds. 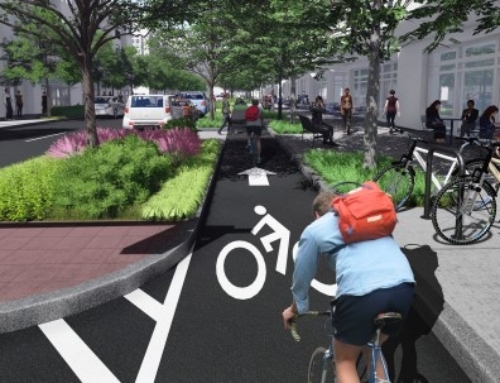 First and foremost, the vision includes a significant reduction in the number of vehicular travel lanes. 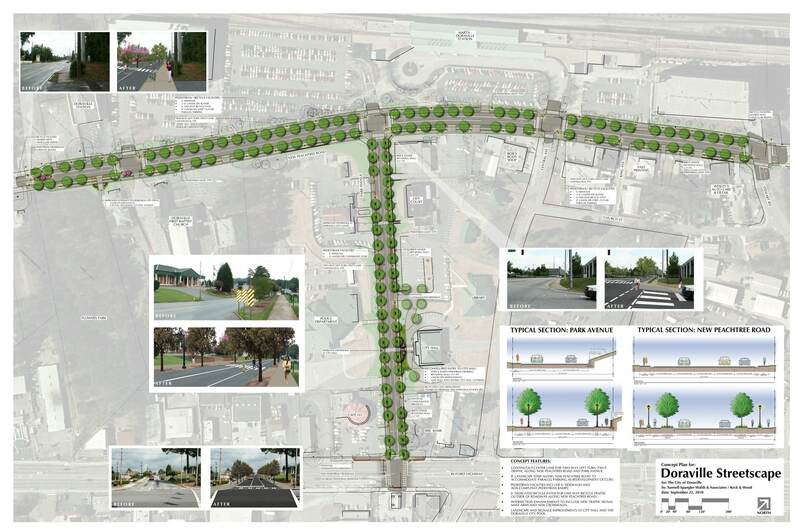 The new roadway will consist of two travel lanes in each direction with a shared center turn lane leaving approximately 25 feet of freed right-of-way. 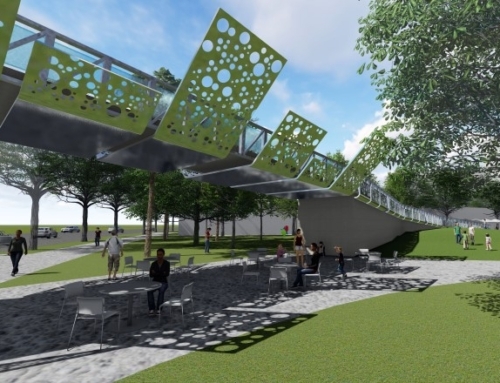 The additional space will be occupied with a dedicated off-street bicycle path and a separate pedestrian sidewalk. Along with new signage, pavement striping, signals, and lighting, these facilities will ensure a high level of pedestrian and bicycle mobility and safety.